Celebrating Oktoberfest with gusto, Manasi from India consumed her first-ever beer only two days prior at the Welcome dinner. No kidding! All pictures on this site were either taken by Brett Harriman (of his Oktoberfest guests), or were snapped by his guests and given to Brett to publish. 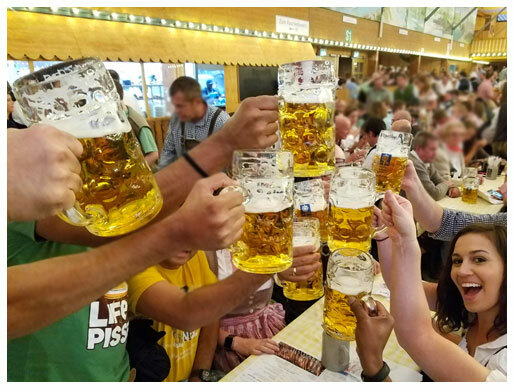 Click through the site and behold the joyous occasion that is the world’s largest folk festival held annually in Munich, Germany, known as Oktoberfest!